« Will Disney Parks Announce Anything That Isn’t Intellectual Property Based Again? Could Pixar Pier Signal The Start of Mickey’s Halloween Party Moving Exclusively to Disney’s California Adventure? 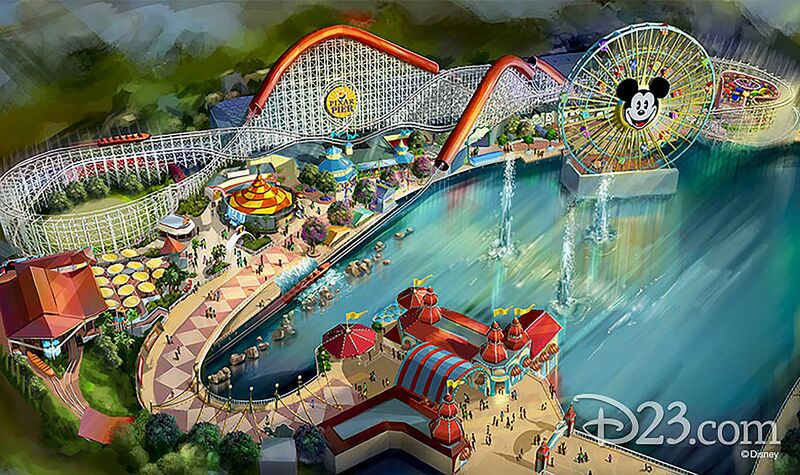 With the recent announcement of Pixar Pier coming to Disney’s California Adventure, it begs the question: is that all? We know that there is a family attraction based on “Inside Out” on the way that hasn’t been announced yet. However, it is clearly in the artwork as a small flat ride that sits where Maliboomer once stood. This is basically a replica of Flik’s Flyers found in the Bug’s Land section of the park. Beyond that, what else could Disney be hiding? Might there be more to this announcement? My theory is yes and it will affect the future of Mickey’s Halloween Party at the Disneyland resort for years to come. The reason I bring this up is, as we have discovered, Guardians of the Galaxy: Mission Breakout was designed early on with having a seasonal overlay in mind. The idea was put in place that the ride could be changed by the flip of a switch, thus Monsters After Dark was born. It became a huge hit this Halloween. Part of the reason for that was because tickets to Mickey’s Halloween Party during the 2017 season included admission to Disney’s California Adventure so guests could enjoy the Halloween additions that were added to a small section of that park. If that seems a bit fishy to you, it did to me too. I believe that this move was to slowly get repeat visitors used to having a Halloween event exclusively at Disneyland’s sister park, while Disneyland stays open for longer periods of time. California Adventure is about to have a lot more Halloween goodness headed to that park in the next few years if my hunch is correct. 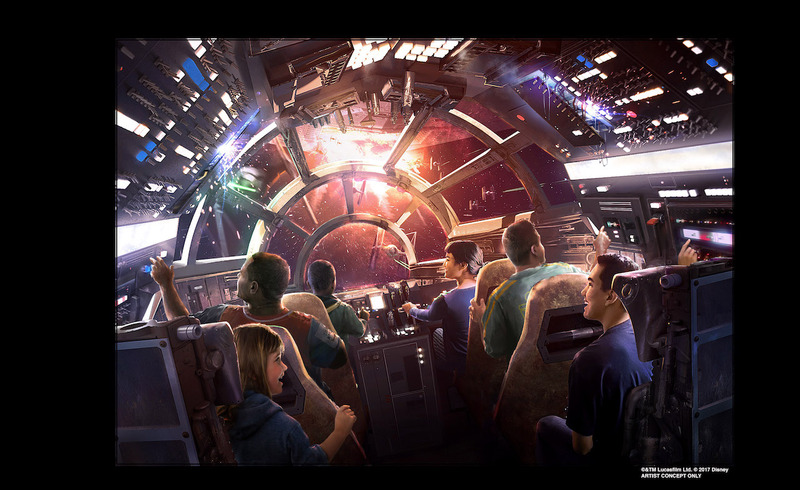 The reasoning for this logic is pretty simple: Galaxy’s Edge. Is it even up for debate that this area of the park will be absolutely packed for the first few years after opening in Summer 2019? Naturally, the issue becomes how can you justify closing Disneyland early for hard ticket events? If predictions are correct, you’re going to have record crowds for quite some time when this new land comes online. Plus, we all know Disney loves those special ticketed events because…. well… money. With this in mind, it only makes sense that Disney’s California Adventure becomes the exclusive home to hard ticket park events in 2019 at least for a few years. In order to do that, this park needs to beef up their seasonal offerings during Halloween to justify paying $100 (or more) per ticket. First, let’s talk about how California Adventure is better equipped to handle seasonal hard ticket events in the first place. While certainly fans who pay for a Halloween party ticket will be upset that Haunted Mansion and small world holiday are not included with their California Adventure only party ticket, there is a lot they can look forward to. For starters, the park is far better equipped and spacious to handle things like trick or treat trails, special character meet and greets and even stage shows that Disneyland just can’t do due to size limitations. 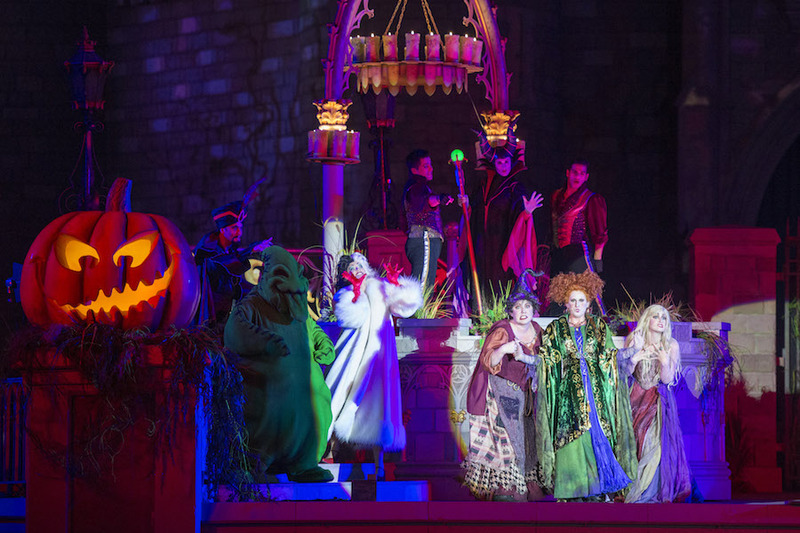 For example, Walt Disney World has a fantastic Hocus Pocus show that is extremely popular. That show could easily fit inside the Hyperion theater since the Frozen show is rarely performed after 5 pm anyway. Another great advantage of California Adventure is their parade path is far more spacious to accommodate larger crowds and not feel so cramped. Let us also not forget that there are several large full-service restaurants that could offer seasonal menus with characters dressed in unique costumes just for these events. Now let’s assume that there’s more to this Pixar Pier announcement than meets the eye. What else could we expect to be announced? For starters, it has been long advertised that Toy Story Midway Mania could be easily upgraded to include Halloween or even Christmas overlays. Since the screens are digital, you can easily create a “Toy Story of Terror” version of this attraction, based on the Halloween special that’s been airing on television since it debuted on ABC in 2013. In addition, since fireworks wouldn’t be included with your Halloween hard ticket at Disneyland, you could easily create a Halloween version of World of Color. Think about it. Fans would go nuts to see films like “Hocus Pocus,” “Nightmare Before Christmas” and even classics like the 1937 “Lonesome Ghost” short. There a literally dozens of possibilities. You can do so much more with World of Color than you ever could with Disneyland’s Halloween fireworks. Not to mention, you can easily take the same concept that was applied to Cars Land this year and apply it to Pixar Pier. How would Pixar characters dress up for Halloween? Would Toy Story characters dress up in costumes as each other? Would Sid and his evil creations make appearances for photos? There is a goldmine of possibilities here. 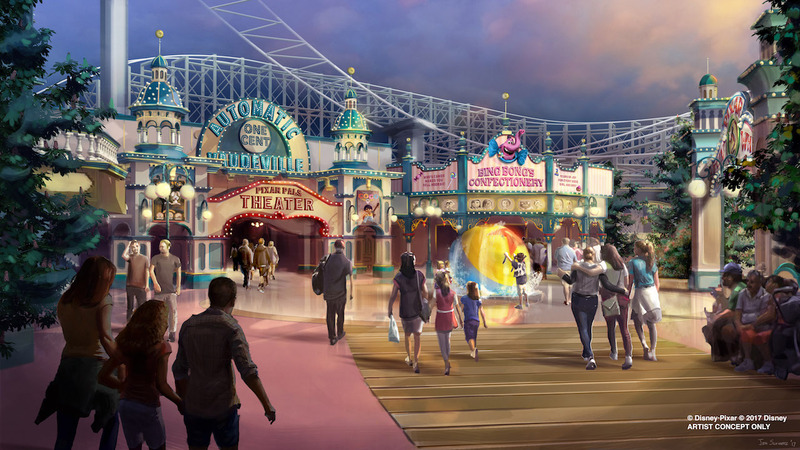 Not the least of which would be to add a special nighttime soundtrack and lighting package exclusively for the Incredicoaster. You can easily add more decorations throughout the park as well, plus there are certainly more opportunities to create seasonal versions of attractions like Grizzly River Run. Take a look at what they do with the log ride at Knott’s Berry Farm and you’ll know what I’m talking about. Taking this concept even further, could the new Marvel land currently being designed also have seasonal overlays in mind? If you think about it, how smart would it be to design attractions from the beginning that can change theming at the flick of a switch? Based on how popular Monsters After Dark has been, I genuinely believe that this is the future of theme park attraction design. Your thoughts? Be sure to use the hashtag “#IReadTheEntireArticle” when commenting on social media! This entry was posted in Disney and tagged Disney's California Adventure, Disneyland, Mickey's Halloween Party, Pixar Pier. Bookmark the permalink. Trackbacks are closed, but you can post a comment.